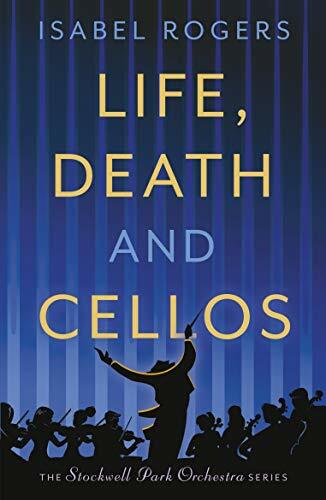 Welcome to my stop on the book tour for Life, Death and Cellos. My thanks to the author Isobel Rogers and publisher Farrago Books. We join the members’ of the orchestra during there rehearsal. They have a stand-in conductor who sadly has an epic departure from the world that has heinous consequences on the orchestra. We enjoy snippets from some of the members’ live’s and the secrets and lies that they hold close to their chest or cello case in this instance are revealed throughout the novel. This debut novel from Isabel Rogers really caught me by surprise. From the cover and the description, I was expecting a cosy crime fiction read. Which it is miles and miles away from. It is so very hard to label the genre of the book. It’s literary fiction mixed with women’s fiction with a hint of comedy and threaded through is a slither of crime. A pick n mix if you like of varying genres. It is apparent that Ms Rogers has a love and expertise in music. There are quite a few parts of the book that is technical heavy. At first, I enjoyed reading a little bit of who was playing what and how but after a while it became a little heavy for me. I know the author is passionate and that’s apparent but as a reader, it was a little too much. What made the book a five star read for me personally was the characters, those chapters were the most exciting and engaging for me. Beautifully written with heart and I really would have loved much more about them and less about how the Orchestra plays etc. As I read I started to listen to the music on my Alexa gadget that they were playing/practising in the book. It made for a lovely added extra to my reading experience. Plus I enjoyed discovering some gorgeous music to add to my background playlist. The cover is beautiful and I really cannot wait to find out what happens to the characters in this series. Overall it was a really enjoyable and creative read. A massive five stars from me. This book was written with so much love it bursts from the pages. Thanks, the writing really is/was so beautiful. I also thought this would be a cozy mystery story, but it sounds like so much more. I am looking forward to reading this one. Great review. Lovely review! I’ll have to check this out.